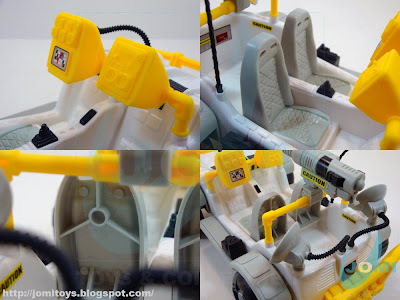 1998 "Planet Rover". 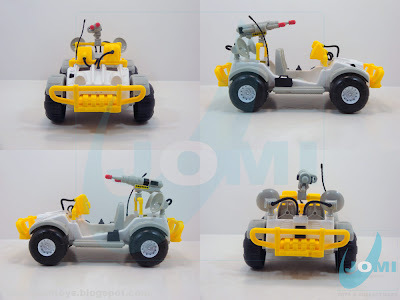 Design may have been inspired by NASA´s Lunar Roving Vehicle (moon buggy). Included items. 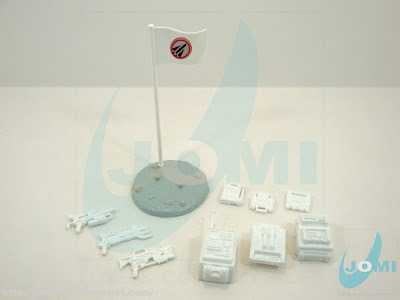 The LRV, 3 figures (curiously more than major size vehicles) with respective accessories and a great figure stand with flag. Included accessories. While weapons, backpacks and hand equipment are pretty much the same throughout "The Corps! S.T.A.R. Force" sets, some came with these awesome figure stands. 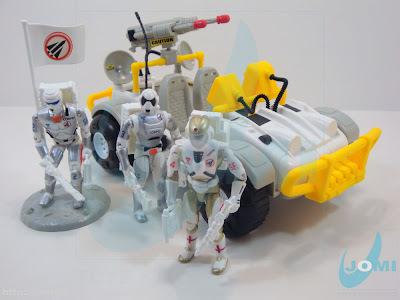 Figures: S.T.A.R. 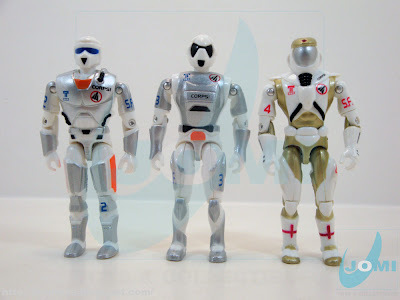 Force astronaut team members "2", "3" and "4". The "Planet Rover". Holds 2 seated figures and you can manage to fit 2 more in the back, although the area is for equipment storage. Detail shots. Observe the hole behind the seats. Backpacks go in there. The seats look "racing". Pretty cool. 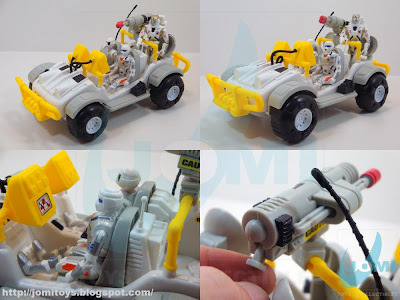 Action shots with figures and missile-launching system.